Principal of the school, Saleh Alqam, pointed out that the demolition was carried out without prior notice. 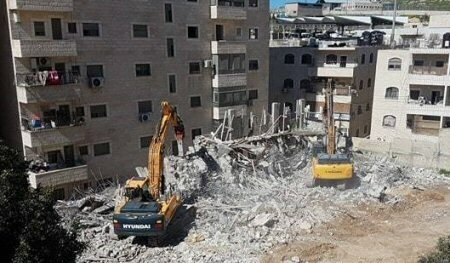 He added that 400 Palestinian students had registered for the 2019/2020 school year in the new building, which was supposed to serve kindergarten and elementary students. However, after the demolition, these students now have no place to go. School was suspended, for Tuesday, for 1500 students of all stages who attend the al-Razi School.